Wednesday I wore it tucked in with a pair of cropped trousers. I mentioned that it was a longer length and did a good job of covering up my back end, but I just had to prove it to you and the simple fact of wanting to wear it again. 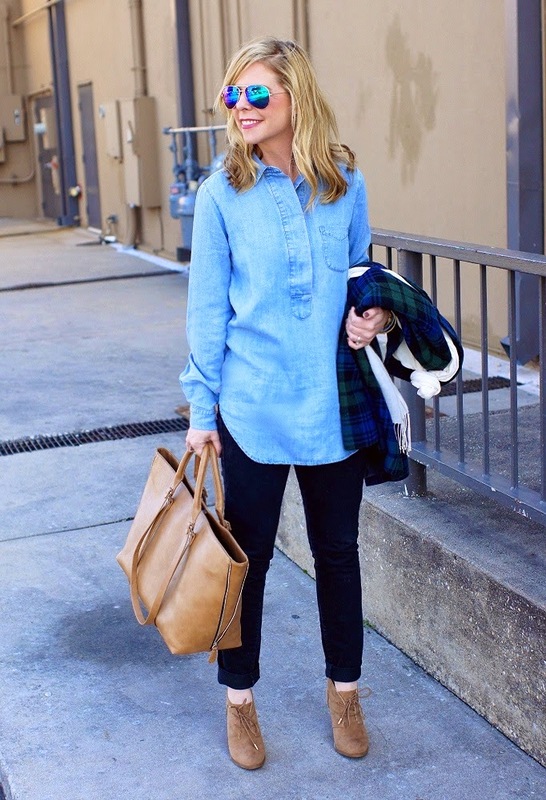 With it being on sale for 40% off right now, I promise you need to add it to your closet ASAP. There are very few things I really encourage you ladies to buy, but this one is a must for all seasons, 12 months a year, 365 days or 24/7...however you'd like to say it. 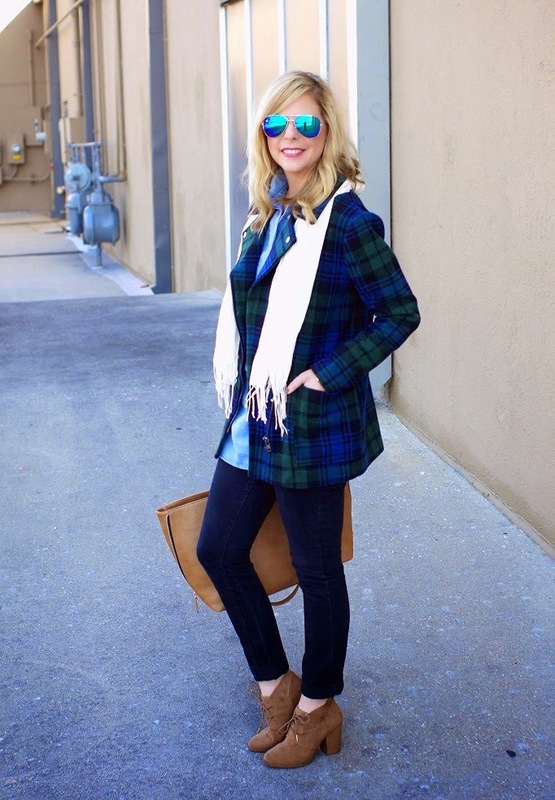 And while I am shilling clothes, the plaid flannel coat I am wearing has been marked down to $28 after discount. In fact, all Forever 21 sale items are now 30% off the sale price + you get FREE shipping when you spend $21+ or more on clearance. I know that some of you still aren't sold on Forever 21, but one day I will make you a believer. They seriously killed it this season with their outerwear. So many things...so little time. I am not sure how long this sale will last and sizes are going fast. 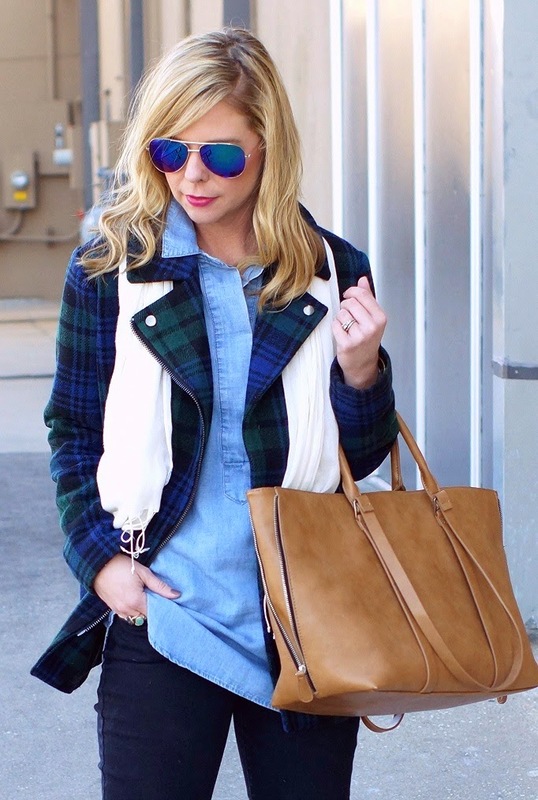 Also, the plaid toggle coat that I wore here is also $28. Both of these coats have been champions this season and I swear the quality & material are just as good as a higher end brands. Before I go, there is one more sale going on that I would feel guilty if I didn't mention. All sale items are an additional 40% off at Anthropologie. It's for a limited time and could end today. I ordered this vegan leather dress (less than $60) as a year round workhorse and floral top (less than $30) for an upcoming beach vacation. Happy shopping and re-wearing your favorite shirt. It's okay if you've put it on two days in a row. I won't tell anyone if you don't. Have a great weekend!